Stunning handmade fusion glass wall clock. 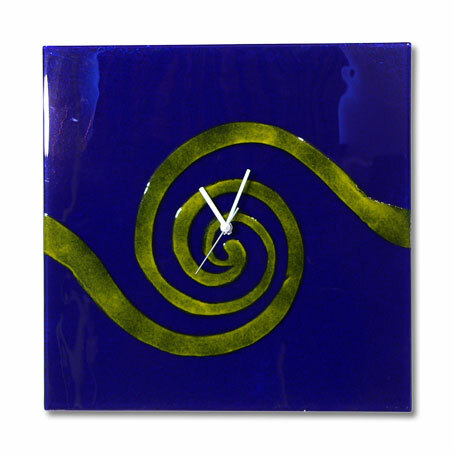 Set in a square gloss blue glass design, but with a jazzy contrasting mustard yellow spiral design within it. The clock is a large 40x40cm. This clock is induvidual and handmade so is sure to draw comments from everyone who sees it!